New Brunswick homeowners are being warned about rogue door-to-door salespeople offering to install heating and cooling systems. The province’s Financial and Consumer Services Commission says that high-pressure sales tactics including promising free installation are putting consumers at risk. Some are asking consumers to sign electronic contracts without being giving them time to read the details, not providing copies of contracts, and not being licensed to sell door-to-door in the province. As a result, consumers were not aware of the full implications of the arrangement until after items were already installed in their home. 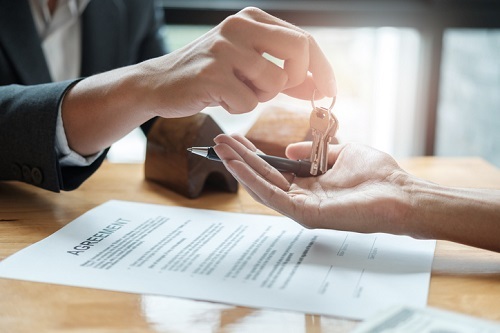 “Consumers are urged to ask questions, to not be pressured into making a decision, to do research and to read all contracts when approached to purchase products or services from a door-to-door salesperson. When a deal sounds too good to be true, it very well could be,” the FNCB warns. The commission says that conusumers should always ask to see the licence when a salesperson comes to their home. Salespeople are also required to provide copies of the contract to the consumer; and the law provides for a 10-day cancellation period for any good or service sold through a direct sale.